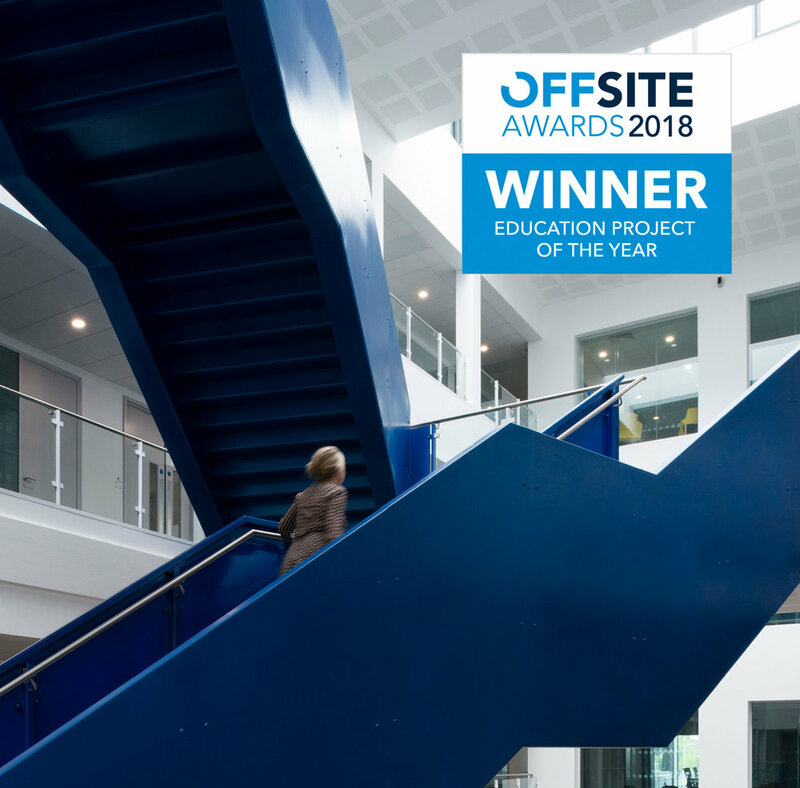 We are delighted to annonce Global Academy has won Education Project of the Year 2018 at Offsite Awards! Constructed with our partner Portakabin, Global is the first University Technical College to be built offsite, and is one of the most energy-efficient modular buildings of this scale ever constructed in the UK. Surface to Air Architects have been shortlisted for Global Academy UTC in the Public Sector category of the FX International Interior Design Awards. The winner will be anounched on the 29 November 2017. The shortlist for the 2017 Building Awards have been announced, with Global UTC nominated for offsite project of the year. Global UTC opened its doors in September 2016, and provides specialist education spaces for 14-18 year olds looking to work in Creative, Technical and Digital Media industries. Greatfields School is progressing quickly on site, with the innovare structure nearing completion after just 6 weeks on site. 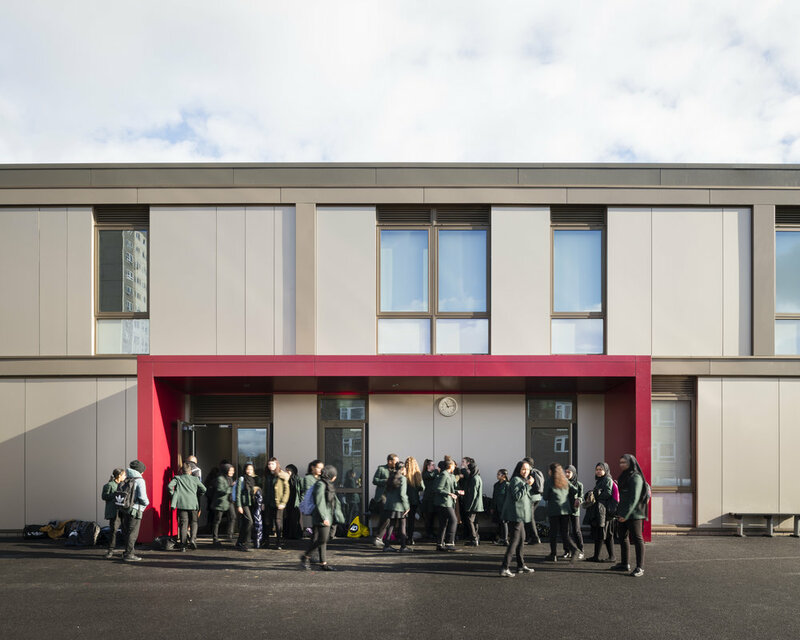 Surface to Air architects were appointed by LBBD council to design the new £35 million school, which will provide a 700 pupil primary school and a 1,800-pupil secondary school. The Duke and Duchess of Cambridge and Prince Harry have officially opened Global academy in Hayes, West London, in support of their mental health initiative Heads Together. The Global Academy is free to attend and students come from a wide variety of backgrounds, and encourages young people to talk about mental wellbeing issues they may be facing with an hour of mental wellbeing on the curriculum every week. The royal guests each visited a classroom where pupils are learning about the science of sound, the student radio station where pupils are working on a mental wellbeing project, and an audio project listening to EMI’s vinyl recording of early speeches of the royal family.